While your first thoughts connected to ‘snow’ and ‘mountains’ might be ‘skiing’ (or ‘snowboarding’! ), that idea might not fill everyone with excitement. For a family-friendly attractions in Gatlinburg with no potential hazards, book a trip to the Gatlinburg Mountain Coaster on your winter trip to the Smokies this year. With no uphill walking necessary, you can bring the whole family as this ride is suitable for anyone over 3 years old. 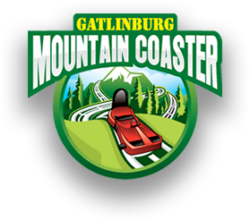 While other attractions in Gatlinburg and the surrounding area might close early in the new year, the Gatlinburg Mountain Coaster is open all year-round. Winter is a great time to visit, as well, as the Smoky Mountains are often covered with snow and the beautiful low-lying clouds that give them their name. Riding on the Gatlinburg Mountain Coaster is a unique way to enjoy the gorgeous Smokies, as our uphill lift system zips you to the top of the hill, with the view expanding as you go up. From the top, enjoy a panorama with Gatlinburg down below and ridge after ridge of the Smokies as you look up to the horizon. The fun only starts there, of course, as you are seated in a one- or two-person carriage and descend down the mountainside. If you are a thrill-seeker, hold on tightly as you plummet to the bottom at speeds up to 35 miles per hour. Prefer a more leisurely ride? 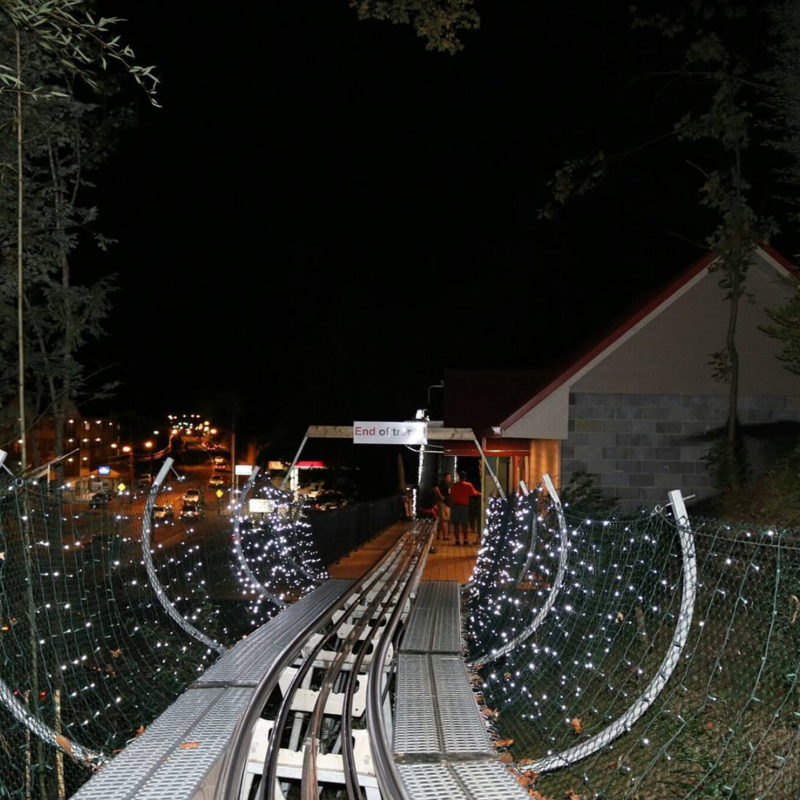 The Gatlinburg Mountain Coaster is unique in that it is entirely powered by gravity, so there are no lift chains connecting you to other cars. Without them, your speed is entirely up to you! Just apply your hand brake and you can slow to a less vertiginous pace or stop entirely. Want to enjoy the peace and quiet of snowflakes softly falling? You can slow to a halt and snap a few pictures before descending once more. With this distinctive feature of our coaster, it’s perfect for the whole family. Load the speed demons into one carriage and take a calm ride by yourself! There are several options for ticket bundles, all of which are eligible for 20 percent off when booked in advance. Purchase a single ride or grab a two-adult or parent-child combination ticket. You might find after reaching the bottom that one go was not enough. Repeat rides are only eight dollars, but you can save buying another ticket with an unlimited pass for an hour or the whole day. And, before you leave, make sure to stop by the store to grab a picture of yourself from the photo point on the way down, sure to make a lasting family memory!